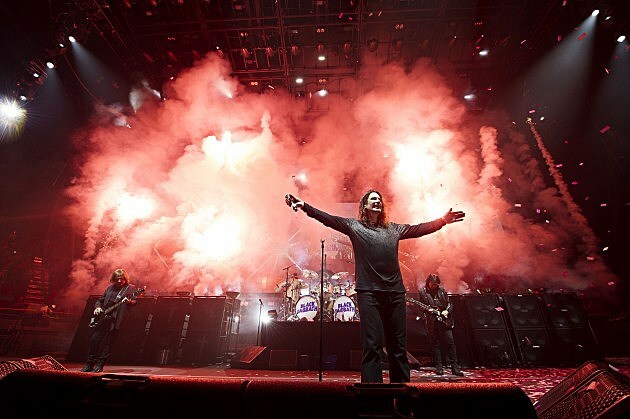 Ozzy Osbourne recently had to postpone the rest of his “No More Tours 2″ farewell tour due to his hand surgery. He has now rescheduled the shows for 2019. They happen 7/20 at Las Vegas’ MGM Grand Garden Arena, 7/23 at Chula Vista’s Mattress Firm Amphitheatre, 7/27 at Mountain View’s Shoreline Amphitheatre, and 7/29 at LA’s Hollywood Bowl. Tickets from the cancelled shows will be honored, and refunds are also available. You may know singing clown sensation Puddles Pity Party from his many YouTube song covers, or his viral America’s Got Talent appearance, and he’s just announced a fitting career move – a 2019 residency at Caesar’s Palace in Las Vegas. The residency runs from 1/17 to 2/9, and according to Variety, Puddles will be performing “new material and classic, rarely performed songs, along with many surprises.” He’ll begin this residency following his North American tour, which includes several stops around the NYC area, including at Asbury Lanes on 12/12 & 12/13 (we’re giving away tickets). Find tickets to all of Puddles’ upcoming dates here. Justin Vernon and Aaron Dessner’s collaborative project Big Red Machine is playing a one-off at NYC’s Terminal 5 on November 7, and a pretty incredible list of openers has been announced: Sam Amidon, Lisa Hannigan (who sings on the Big Red Machine album), and Naeem. Sam Amidon also has UK/Europe dates happening before that. All are listed here. Dave East recently released a collaborative album with The LOX’s Styles P, Beloved, and now he’s announced a headlining US tour this winter, the “Get It How I Live Tour,” starting late November in Wilmington, DE, and winding up at NYC’s Irving Plaza on January 12. Tickets for Irving go on sale Friday (10/19) at noon. See all his upcoming dates here. LALA LALA opening for WHY? Having recently wrapped up a run with Mothers, Lala Lala will hit the road again opening WHY?’s Alopecia 10th anniversary tour. That begins in Indianapolis on November 1 and hits Brooklyn on November 30. All dates here. Lala Lala’s new album The Lamb is out now on Hardly Art. Canadian acts The Weather Station and Jennifer Castle just released a split single where they appear on each other’s song in celebration of their West Coast tour together which is underway now. When that trek wraps up, Jennifer heads to the UK and Europe where she has dates with Swedish band Hater, Andy Shauf, and more. All dates are listed here. Goth rockers She Wants Revenge are on tour now, and in what is kind of an unexpected pairing, boundary-pushing rapper Mykki Blanco is opening. The tour hits Kansas City tonight (10/18) and lands in NYC on 10/24 at Irving Plaza. All dates here. Bob Weir & Wolf Bros kicked off their tour in Reno with intimate, stripped down versions of Grateful Dead classics. The tour continues in LA tonight (10/18) and lands in the NYC-area in November for four shows. All dates here. Pusha T added an in-store performance and Q&A at NYC’s Samsung 837 happening before his tour with Phony Ppl begins. Kimi Recor is playing keyboards as part of Death Valley Girls’ West Coast tour and her synthpop band, DRÆMINGS, is opening.